For both the reader and the writer, endings are extremely powerful things. I know I feel like celebrating when I’ve typed the words THE END on a manuscript, even though I’m fully aware that in the life of a finished manuscript the hard work has only just begun. Which type of ending did I go for? Fairy Tale, Hollywood, Bollywood or Hopeless? Fairy tale endings represent the typical ‘happily ever after’ ending, as in the Hansel and Gretel variety. Hollywood endings are much more sugary, (sometimes sickly) sweet happily ever after endings with everyone riding off into the sunset. Bollywood endings are happy endings too, but tempered by the extreme tragedies that have taken place; and they’re happy because everyone, who hasn’t died, is reunited at the end. Hopeless endings are few and far between, and rarely have a place in children’s literature. I don’t tend to write light humorous stories, oh, okay, I’ll be honest – my writing is actually quite dark. 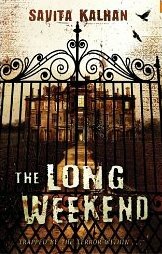 The Long Weekend was a story of two boys who are abducted after school. It’s labelled by the publishers as ‘not suitable for younger readers’ without stating a specific age on the back of the book. The boys are eleven years old, so you might think it was suitable for perhaps ten year olds to read. Well, it might be for a few. It’s the kind of book that cannot have a hopeless ending because it is for kids and because of what happens in the book. My agent actually asked me to write an epilogue because she was of the opinion that you could not end a children’s book, particularly a book like The Long Weekend, without some element of hope for the reader to take away at the end. I think she was right. When I read books as a child ...and they lived happily ever after, was an ending I expected. I read lots of fairy tales from all across the world and they always ended like this too, no matter what terrible things had befallen the main characters. Years later when I read books to my young son, little had changed. They nearly all had happy endings. I remember once finding a book in the library that didn’t end happily and reading it to him. When we reached the end, he was really angry at the writer for not writing a proper ending. He’s a teenager now and although he still reads teen/YA fiction, he also reads adult books. 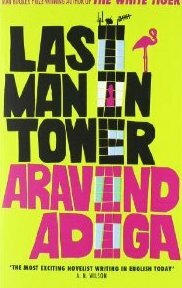 I asked him about a book he read recently – Aravind Adiga’s Last Man in Tower, and he said, “It’s full of broken dreams,” but it’s really good. I haven’t read it yet, but I guess its ending must not be so dark, or maybe because he’s a little older he’s more ready for the occasional ‘hopeless’ ending. I guess we’re generally conditioned to expect the happy ending. I suspect it’s what most children want, and perhaps what most adults want too. Imagine reading lots of books where the whole book is dark and grim and the ending no less so, the outcome so hopeless that you wonder what frame of mind the writer was in, or what he or she had gone through in their life, to end a book in that way. Numerous studies have shown that a person’s reaction to a traumatic event can be significantly leavened by an ending that is positive – as long as the peak pain felt during the experience is less than the pain experienced at the end. Recently, debate has intensified with regards to the darkness in teenage literature, specifically the supposed rise in ‘Sick Lit’. Alongside the waves of paranormal romances and dark dystopian thrillers, are readers looking for escapism or to be protected from dark issues and themes? Is it time for a return to ‘lighter’ teen/YA fiction? Or should we be encouraging authors to continue to explore the dark themes that teenagers need help coping with? I’ll be interested in hearing what other authors and industry professionals have to say, but regarding endings specifically, I think most people would want an All’s Well That Ends Well ending. Interesting post - I can remember reading a book, which I loved the whole way through. When I got to the ending it was 'hopeless' - it upset me at the time, although admittedly suited the book better. Perhaps all sad endings should have a warning just before you read it, or an alternative happier ending as well? Tolkein, in his essay 'On Fairytales' said that to be a true fairytale, there must be a happy ending. But we are not discussing fairytales here and different rules apply. I think an ending in a children's book doesn't have to subscribe to the rules of the traditional 'happy ending' scenario - there can be more honesty than that - but it should leave the protagonist at least having learned positive lessons and better able to continue into the future beyond the end of the book. So maybe a reasonable option is 'the positive ending' which, as a consequence of realism, need not necessarily be happy. Tammie, it's interesting how you remember the book with the 'hopeless' ending - those kinds of books seem to leave a lasting impression. Austin, I agree that for certain children's stories a 'lessons learnt' ending is more honest, as long as it's generally positive. It's the desolate, 'unhappy' ending which seems to be unnacceptable to children, particularly younger ones. I agree that a sad ending is not necessarily the same as a hopeless one - I do think children can cope with a bit of sadness, but not total bleakness. One of my favourite books as a young teenager was Beau Geste (odd, I know, but I read it about 10 times...) I was desperately sad about the fact that Beau died, but there were other characters to identify with that made it through to the end and gave you that satisfying 'all cried out but ready to smile again' feeling. I agree - sad is not the same as hopeless, and for me, as I said in the blog, hopeless has no place in children's literature, or even in teen literature. I think we could all cope with a sad ending - as long as there is the glimmer of hope amongst it. I would love to write 'happily ever after' endings, but my stories never seem to co-operate with me! Brecht said that, Adele?!?!?!? Brecht, who wrote the most depressing play in the world? (Mother Courage). ha! I think if you're telling a story to children it has to end happily. It can be as ghastly and miserable and scary as you like on the way there but it has to be resolved positively. Prefer it if characters change and grow on the way though, don't like the Hollywood formula of the status quo being maintained at the end. For adults though, I think its different. Some of my favourite endings are ambiguous at the least. I'm thinking of Daphne du Maurier's 'The Birds' (the book not the film) which almost doesn't have an ending at all. And 'Angels with Dirty Faces' (OK a film not a book but we're talking Hollywood endings) where you never really work out what happened. And then there are the really tragic gut wrenching endings. The last paragraph of Chinua Achebe's 'Things Fall Apart' left me feeling like I'd been slapped in the face. And I still love the end of 'Planet of the Apes' (I know, another film). I like an ending which somehow sums up the experience of the whole and leaves you with something long after you've put the book down (or left the cinema). Anyone seen 'Martha Marcy May Marlene'? Saw it a month ago and I'm still thinking about it. Jeremy - Things Fall Apart got me too. Rohinton Mistry's A Fine Balance is a gut-wrenching story, but if you haven't had a chance to read it I won't spoil the ending. Let's just say it's not a Hollywood ending! I agree that in kid's lit, the ending has to be positive, particularly if the story has been dark. I haven't seen Martha Marcy May Marlene, but I'll look out for it. It's disturbing as hell, Savita. You'd like it.